← Damn, I need more Coffee! I wanted to share with all of you last nights and tonight frustration. This is a perfect example of why I gave up the first couple times when trying to undertake the daunting task of writing my first novel. There is a time sometimes when your manuscript becomes frustrating. It is times like this that I have to take a day or two to take a step back. So I took out my pen and started correcting what was written thus far. I noticed several things when reviewing my work. 2. I often created to many short and choppy sentences that can be made into a longer sentence. Why? It’s a little redundant. Don’t you think. Of course she is going to feel like crying before she cries. Do we really need that information? I think the readers can figure out how she feels. Because isn’t that the way anyone feels before they cry? 4. The more I write, the more mistakes I continue to find. 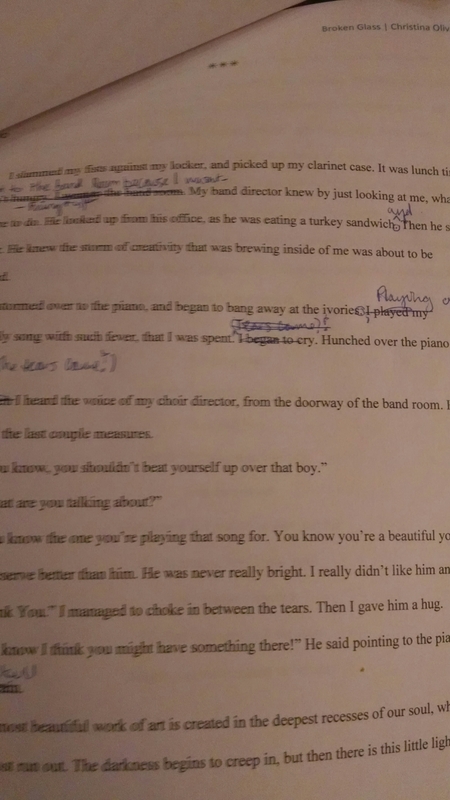 So, hopefully the next 10,000 words will need less editing, now that I am learning what mistakes I make as a writer. 5. Oh and punctuation. I use far too many commas. This is by far the most challenging task I have ever undertaken. As frustrating as it can be at times, writing is a fun challenge. This entry was tagged Editing, Writing Problems. Bookmark the permalink. Nice commentary! I make the same mistakes and feel like my work is a piece of crap. We all do that, I understand. Keep going, I hear you improve the more you write.